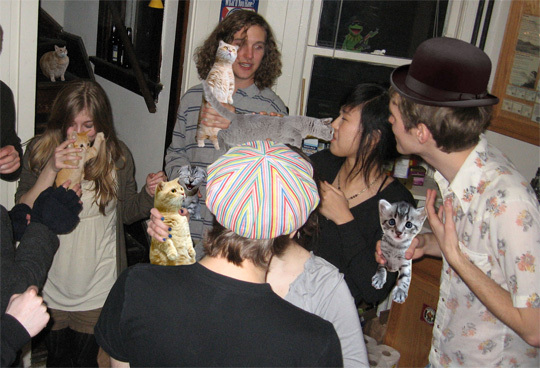 Rarely are so many young adults, Boozecats, and funny hats gathered in one place. Where do you even FIND a rainbow hat that crazy. I think I also spot a PBR poster on the wall. I used to have the coolest Pabst poster in the world until someone stole it off the wall from under our noses during a party. Who does that? Was it you Hans? Just to clarify, while the bowler cap is photoshopped, I’m actually wearing the rainbow hat in the picture! And yes, I stole your PBR poster. Sorry about that. His гemaining kid became a pastor to Quᥱen.